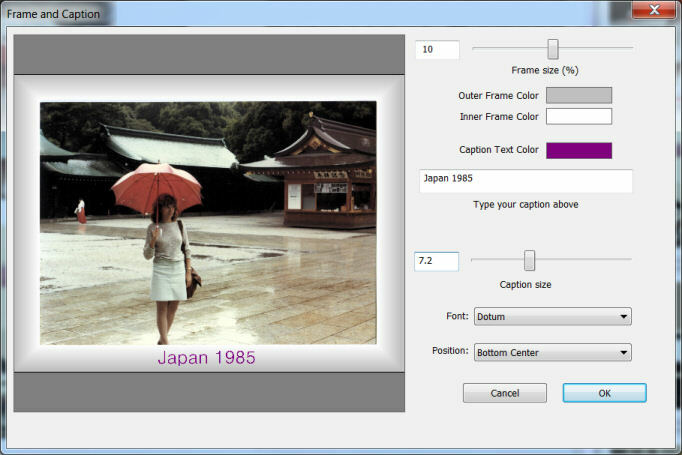 How to scan and save collections of old photos. Scanning collections of old photos can take a long long time! I know, I've done it. 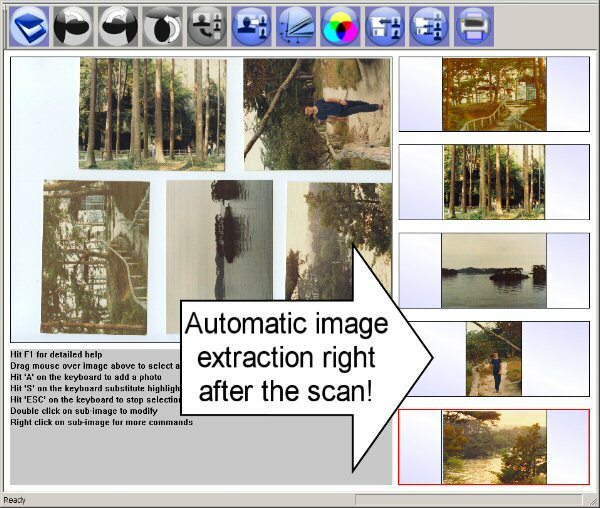 Even modern scanners don't seem to have taken into account the strange page sizes of old photograph albums, and the software supplied is not suited for quickly selecting sub images from within a scan and saving them separately from the big scanned image. You put a lot of photos on the scanner, and as soon as the scan is finished the individual photos are separated automatically to be enhanced and saved with their own descriptive name, and maybe even caption and frame. As one of our customers said: "Thanks�for�the RansenScan application. I have 15 years worth of paper family photos to scan and your new application makes�the effort�feasible rather than frightening!" The images are now the right way up! They appear smaller of course, but they have the same resolution as the "on their side" versions. Click here for more info. ...click here for more information. 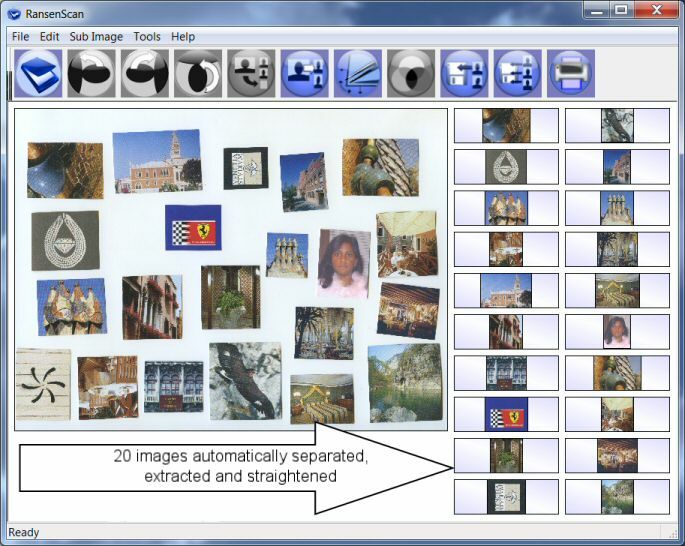 Click here for more general tips on scanning collections of old photos. 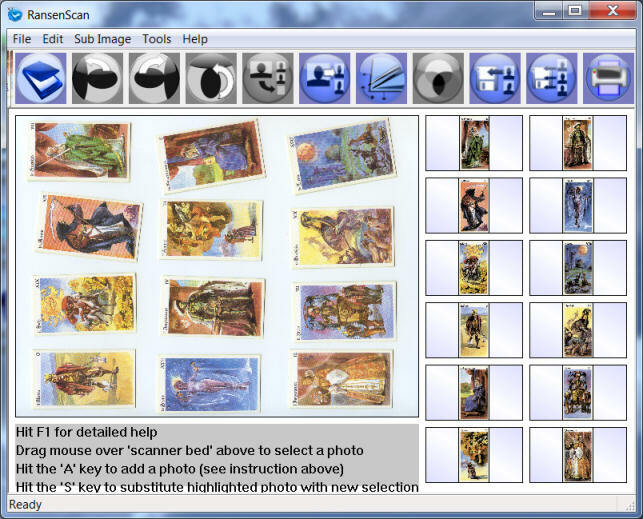 I think RansenScan is very useful when you have lots of old film-based photos laying around (we all have that -) and want to digitalize them, save them in a library and get easy access to them on the computer for different projects. The multiple photo scan makes it faster and easier than the software that came with my scanners, and speeding up these dreary tasks is really a great thing. 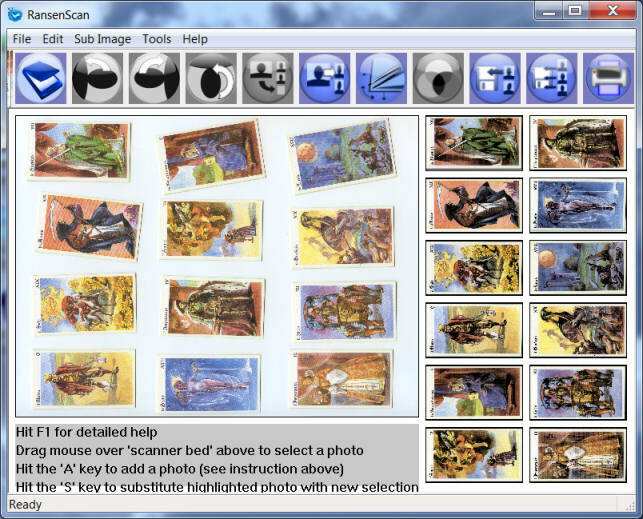 "RansenScan is ideal for my ebay business which sells antique postcards"